It’s that time of year again. 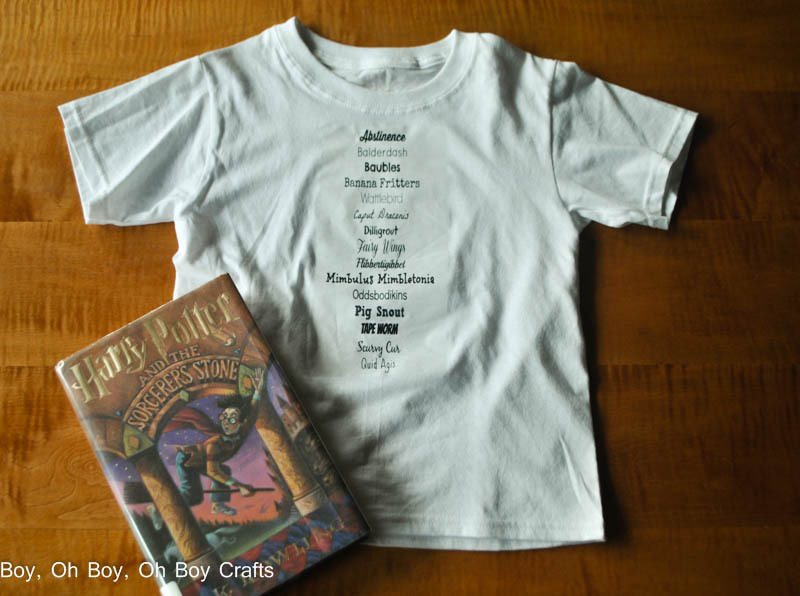 Time for Harry Potter marathons on TV and breaking out all things crafty in honor of Harry Potter’s birthday. It’s no secret that it’s one of my favorite times of the year. For a book nerd like me, it’s right up there with Christmas. So, of course, I’m joining in again this year in Raegun Ramblings Happy Harry Potter Series. I just couldn’t hold myself back from making these Gryffindor Password Shirts. 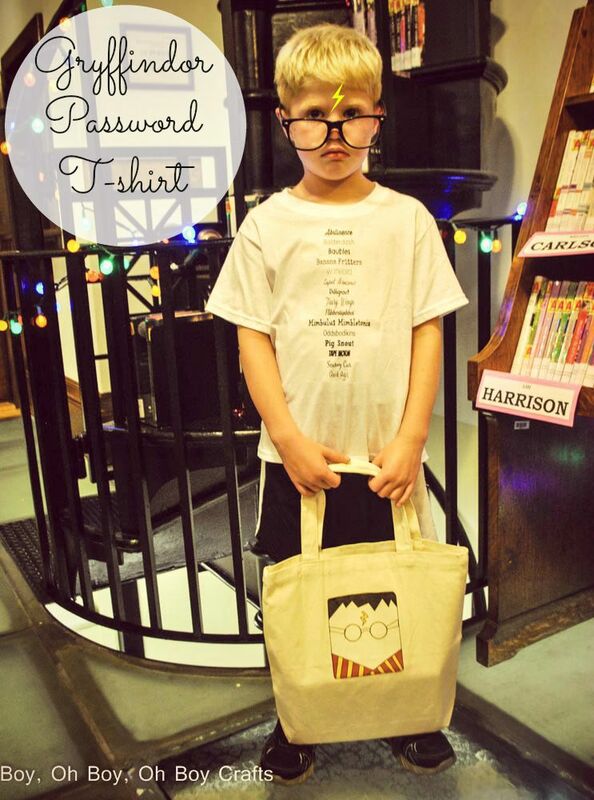 I mean really, what Potter fan wouldn’t want a Gryffindor Password t-shirt? Or tote bag? Or wall hanging? I could think of a million uses for this iron-on graphic. 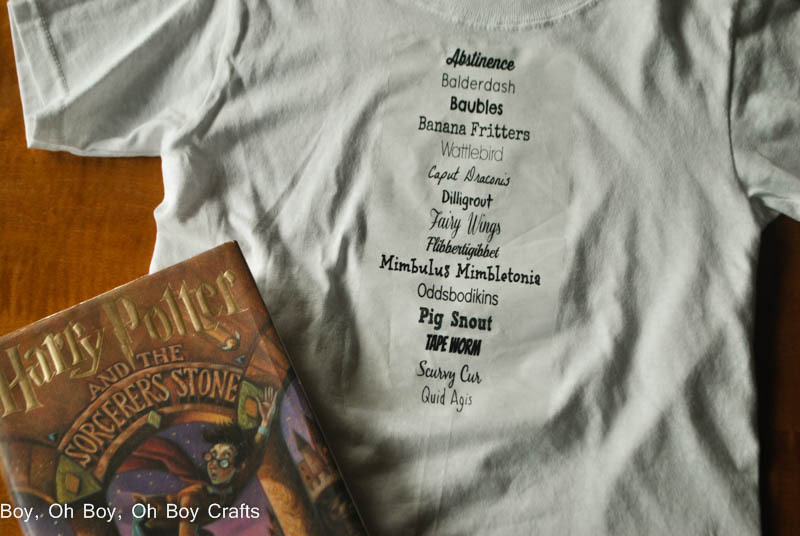 Last year’s Harry Potter Graphic T-shirts have been a huge hit in our house and since iron-on transfers are so quick and easy, I thought we’d do another one this year. One of my favorite parts of the Harry Potter books are the little details of Hogwarts; the ever changing dinning hall ceiling, the hidden passage ways, the snarky Fat Lady painting which guards the Gryffindor Common Room. It’s such a tiny, little detail admits this gigantic, heart warming story but I always wonder how J.K. Rowling came up with the idea. Before you ask, no, I did not re-read all of the books and write down each encounter with the Fat Lady. I wish I had that many hours in the day. 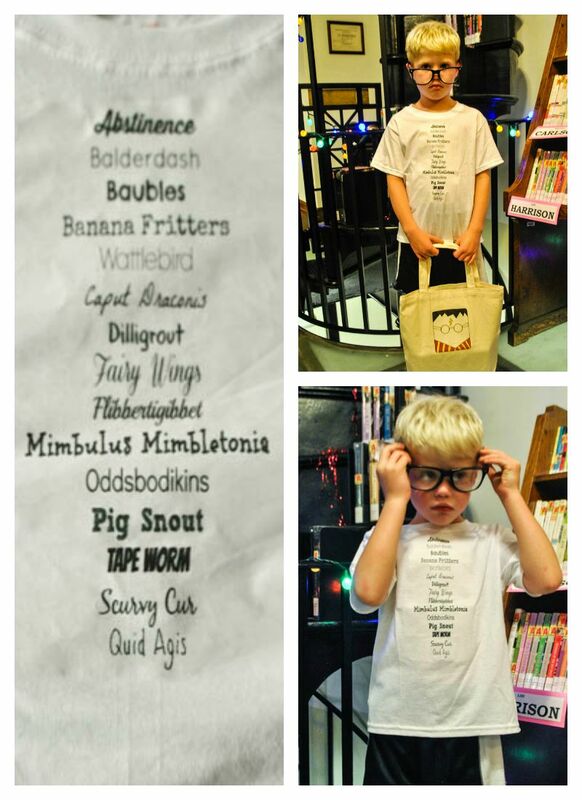 I found this alphabetic list and played with different fonts, then digitized it for all you Harry Potter super-fans. What I love most about fabric transfers, is that they work for all kinds of fabric projects. Print it out and transfer to any cotton fabric surface for instant Harry Potter fandom. I figure, if someone comes up to you and recognizes what these are, you know you’ve met a fellow Harry Potter fan. And make sure you check out all of the crafty Harry Potter goodness and recipes from the series, here. This shirt makes me sooooooooooo happy! Love it.